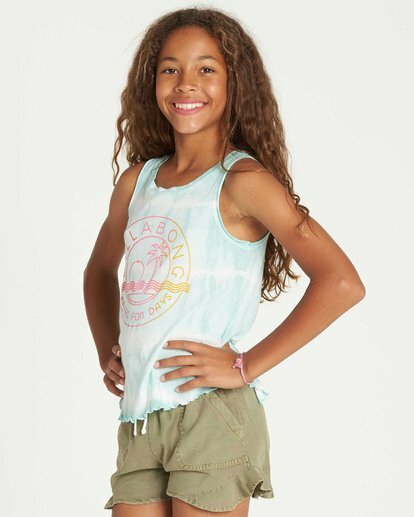 Part hippie, part saltwater gypsy, the Short and Sweet tank brings together a tie-dye wash with a vintage-look surf graphic. 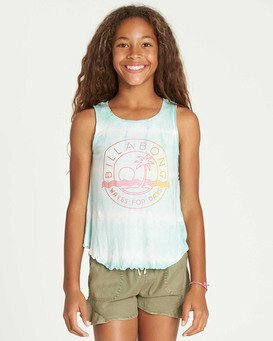 Made with a true tie-dye, the girls tank is finished with a Billabong graphic at the front and baby ruffle detailing at the arm holes and hem. 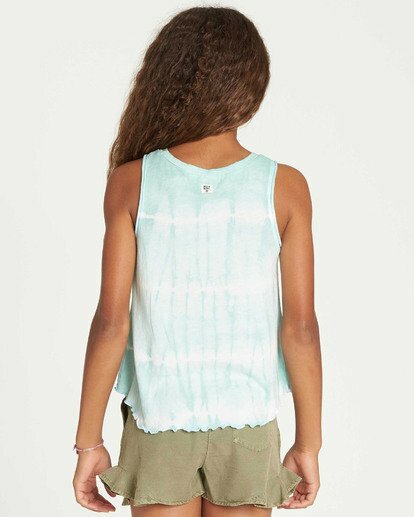 Baby ruffle at hem and arm hole.